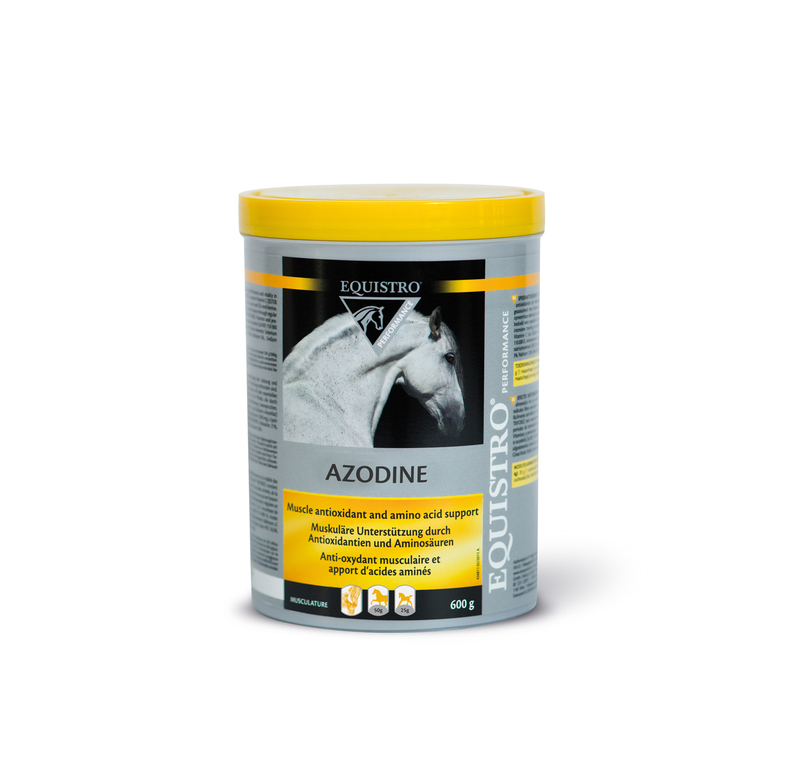 Azodine is a mineral complementary feeding stuff for horses. Electrolyte balance and the interactions between different electrolytes have an impact on muscle function in the horse. An imbalance can disrupt the muscle function in otherwise healthy horses. During exertion, an important quantity of electrolytes are lost via sweat, whilst sodium and chloride account for the majority, calcium and magnesium are equally lost. A regular supply of sodium and calcium can limit the risk to muscle tension episodes in horses. Azodine supplies electrolytes particularly abundant in equine sweat: sodium, chloride and calcium. It is available in 2kg, this provides supply for 40 days. COMPOSITION: Calcium carbonate 40%, Sodium chloride 40%. ADDITIVES/KG: Preservatives: Calcium lactate (E327) 200 000 mg. ANALYTICAL CONSTITUENTS: Crude ash 85.8%, Calcium 18.7%, Sodium 15%, Moisture 6%, Crude fibre 0.3%, Crude protein 0.3%, Crude fat 0.16%, Phosphorus 0.01%. It is recommended to give for a 30 day period. To be mixed with the feed. Water should be available at all times.